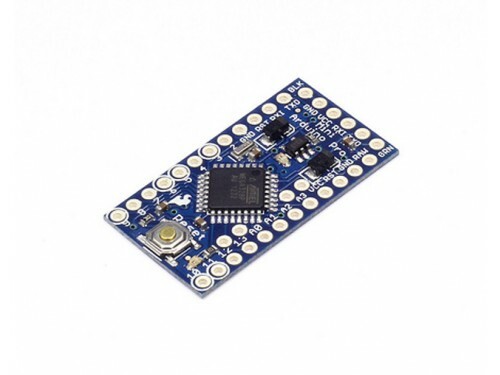 The Arduino Pro Mini was designed and is manufactured by SparkFun Electronics. RAW For supplying a raw voltage to the board. VCC The regulated 3.3 or 5 volt supply. Rather then requiring a physical press of the reset button before an upload, the Arduino Pro Mini is designed in a way that allows it to be reset by software running on a connected computer. One of the pins on the six-pin header is connected to the reset line of the ATmega328 via a 100 nF capacitor. 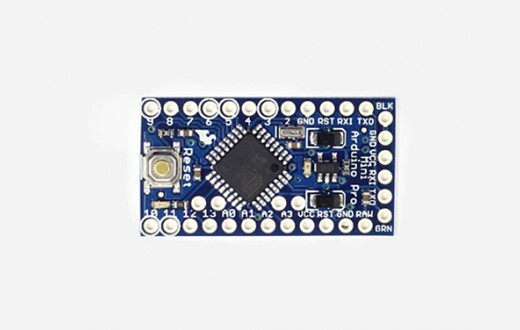 This pin connects to one of the hardware flow control lines of the USB-to-serial convertor connected to the header: RTS when using an FTDI cable, DTR when using the Sparkfun breakout board. When this line is asserted (taken low), the reset line drops long enough to reset the chip. The Arduino software uses this capability to allow you to upload code by simply pressing the upload button in the Arduino environment. This means that the bootloader can have a shorter timeout, as the lowering of the reset line can be well-coordinated with the start of the upload.